Is it "Harmony Ultimate" or "Ultimate Harmony"? For unto Ultimate Harmony will we look. Until the cat layeth down with the dog. The yak with the yeti. The ad guy who came up with "Rocktoberfest" with Maya Angelou. Oil with water. Funky with jams. Jams with jellies. Jelly fish with Architeuthis Gigantus. 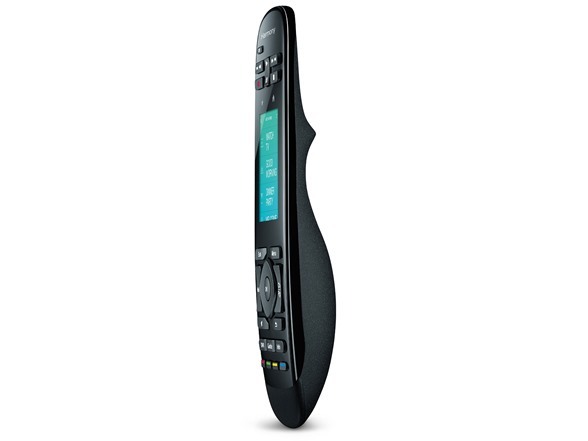 You with this bad as heck remote. Vibration feedback lets you know when the remote receives your command, so you don’t have to look away from the TV screen. The motion-activated backlit buttons and screen make navigation a breeze in the dark. 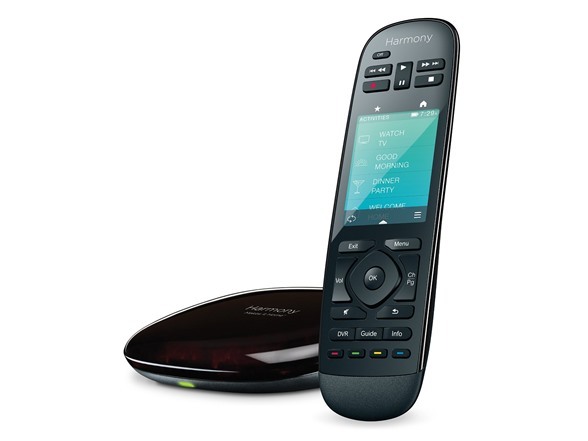 A sleek charging station keeps your remote charged and always at hand. Touch an Activity like 'Watch TV' and all the right devices change to the right settings. Change channels, adjust volume, fast-forward or rewind with simple taps and swipes. You can even customize your own list of up to 50 Favorite channels and watch them with one tap. Easily control home automation devices such as Philips hue lights, Nest Learning Thermostat, August door locks and more—plus advanced home entertainment devices like Apple TV, Roku, or Sonos and game consoles such as Xbox One, Xbox 360, PlayStation3 or Wii. 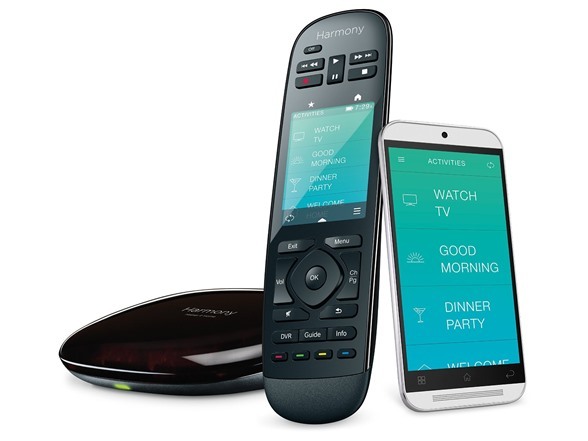 The Harmony App lets anyone in the house turn their iOS or Android smartphone or tablet into a universal remote, complete with their own one-touch Favorite channels and multi-device Activities. 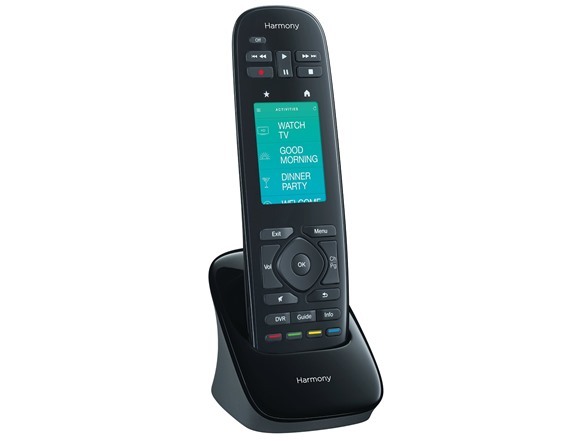 Harmony works with over 270,000 devices from 6,000+ brands. 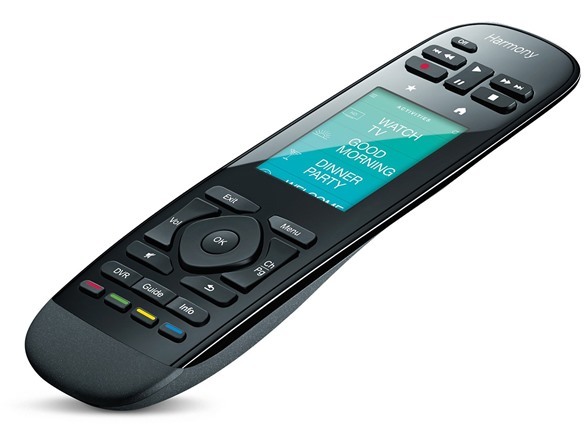 Simply connect your remote to your Internet-connected computer, go to myharmony website, and download the commands for your devices. Or use the Harmony App** to setup control for your devices in just minutes—right on your smartphone or tablet. Either way, the remote and app are automatically synced up with the commands for all your devices. **Initial online and/or mobile setup required. Data rates may apply for mobile app download. Remote (H x W x D): 7.34" x 1.22" x 2.2"
Hub (H x W x D): 4.88" x 4.13" x 1"